These fries are delicious, easy-to-make, and healthier than their fried cousins! If you don’t have duck fat, you can substitute olive oil. 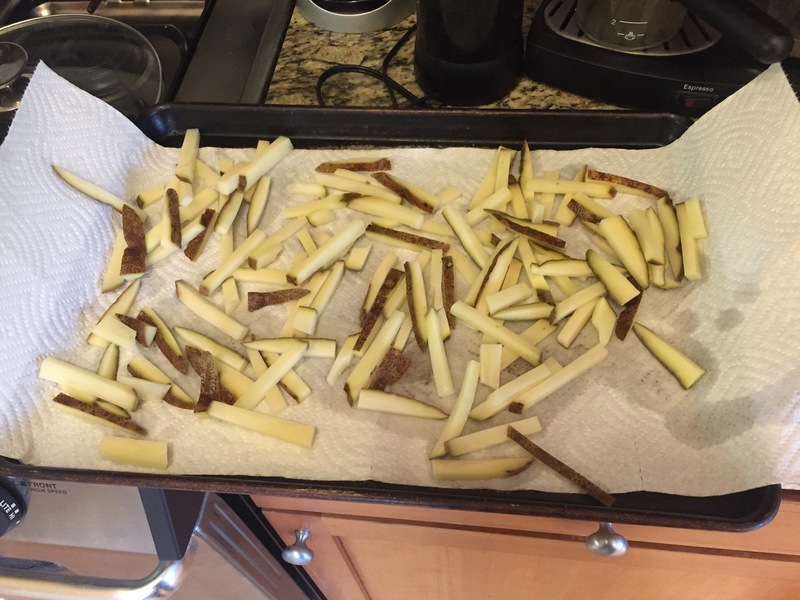 Cut into fry-like shapes; do your best to keep the width sizes as similar as possible to help all fries cook evenly. Smaller fries will cook quicker and be crispier. Bigger fries will take longer and be softer. You may have to experiment to find what you like. Drop the fries into the water as you finish cutting them. This will start drawing out the starch and help them cook better later. 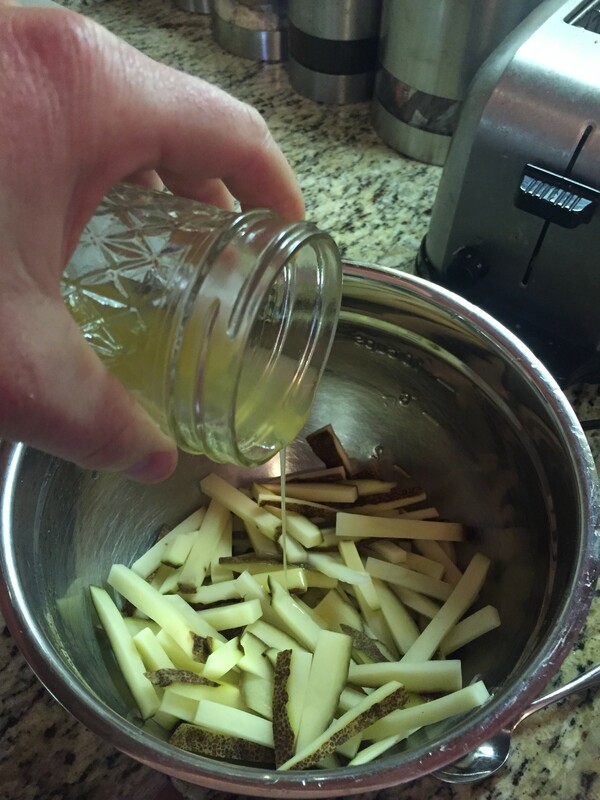 Add more water if necessary to cover the fries. Let them sit for 45-60 minutes. I’ve done as short as 30. 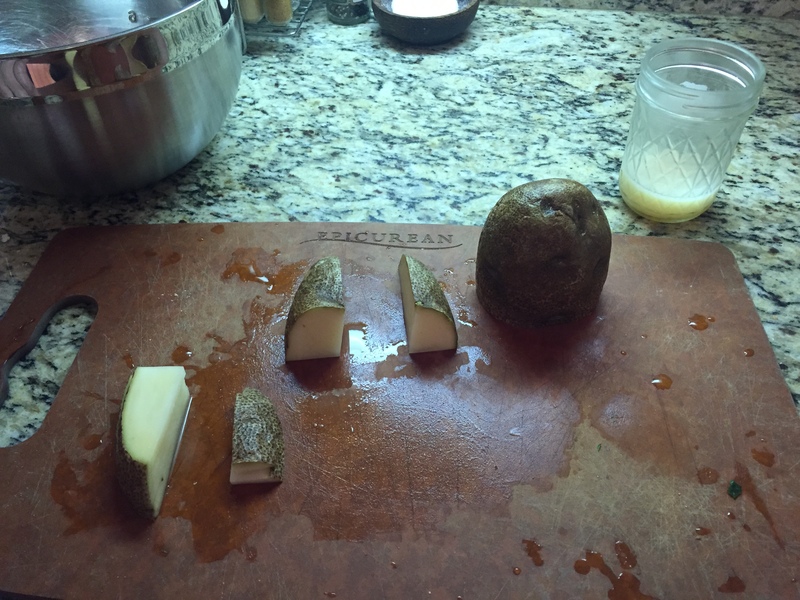 Coat with duck fat (or other oil) and season with salt and pepper. Stir to ensure even coating. Once oven has reached 425, cook for 15 minutes. Prepare dipping sauces if desired (see below). Rotate the pan in the oven and cook for another 10-15 min. 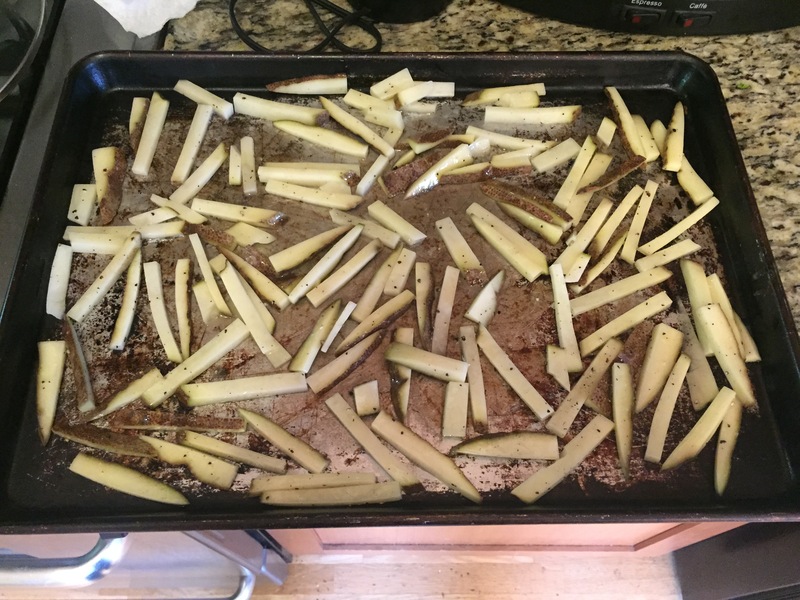 Remove from the oven and use a spatula to flip fries to the other side (as best as you can). They should slide off easily now and be starting to firm up. If not, cook for some more time. Return to the oven and cook for another 10-15 min depending on how crispy you like them. Turn off the oven and remove. Add to serving dish. Salt as needed.